These lambs are part of a maternal nutrition study. 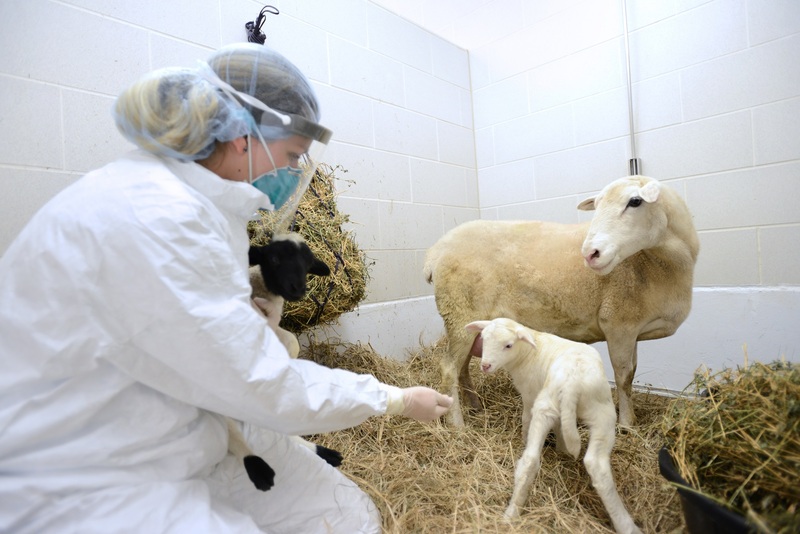 Whenever possible, lambs involved in research studies are raised with their mothers where they undergo normal social and emotional development. If a study requires hand-rearing, it must be approved by the Institutional Animal Care and Use Committee (IACUC), a body responsible for ensuring that all work with animals is humane and in compliance with laws, policies and guidelines. 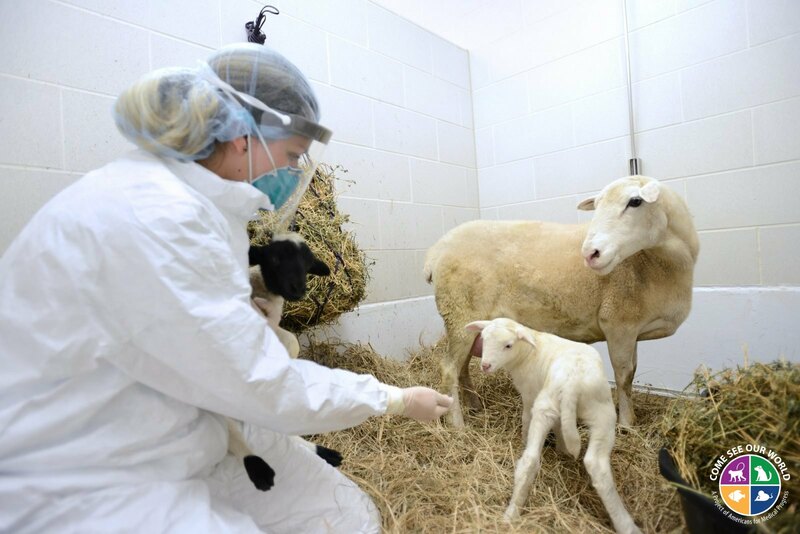 In these cases, they are housed with other lambs for social stimulation and given additional enrichment and interaction with their caregivers.